Welcome to join us at the Champagne Gallery, Hullett House for the launching of our new premium wine Richard Juhlin Jubilée Blanc de Blancs and an opportunity to meet Mr. Juhlin on the 12th of November at 7pm-10pm. 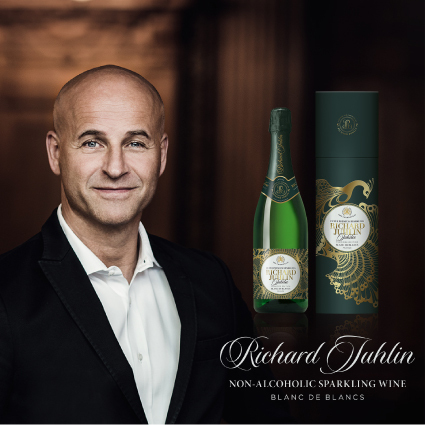 Mr. Richard Juhlin is in Hong Kong for the launch of his self titled de-alcoholized premium sparkling wine Richard Juhlin Jubilée Blanc de Blancs. Mr. Juhlin, recognized as the world’s leading champagne connoisseur has in collaboration with the Swedish wine house MRG Wines developed a sparkling wine containing 100% chardonnay and 0% alcohol. Where can I buy at retail Roomi and the Blanc de blanc sparkling wine? And do you supply salt liquorice chocolate?